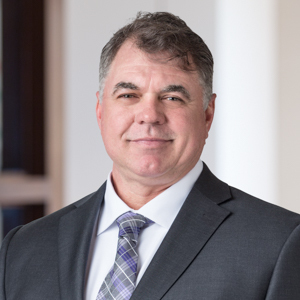 Darren Head joined Great Point Partners’ CEO Advisory Board in 2016 and in 2019 was named CEO of MaSTherCell, a GPP II portfolio company. He was on the Board of Clinical Supplies Management, a GPP II portfolio company, until its sale to Clinigen in 2018. Mr. Head is the former President and Chief Executive Officer of Cytovance Biologics, a former GPP I portfolio company. Under his leadership, Cytovance grew revenues over 40% per year during GPP’s investment period and was sold in 2015 for 7.4x invested capital and a 57% IRR. Mr. Head has over 26 years of biological, device and drug manufacturing experience. Prior to joining Cytovance, he was Senior Vice President of Worldwide Operations with Immucor. Prior to that, Mr. Head led Aronex Pharmaceuticals manufacturing and clinical supply operations in late Phase 3 programs. Additionally, he served in the United States Air Force during Operation Desert Storm. Mr. Head holds a B.S. in biology and attended the executive M.B.A. program at Texas A&M.